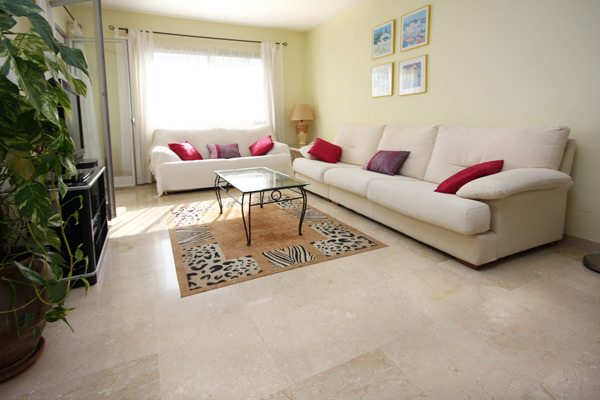 This one bedroom holiday apartment is ideally located in the centre of Estepona Port. 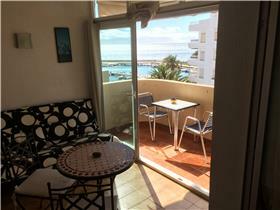 It has a lovely side view of the sea and the harbour from the covered terrace. 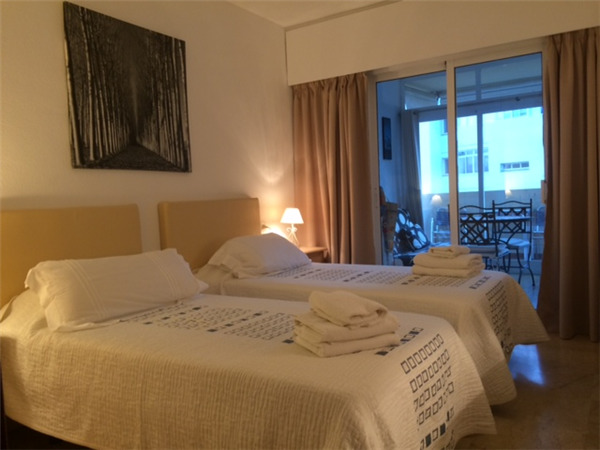 The good sized lounge is comfortable, clean, has air-conditioning and has been furnished with simple but comfortable modern furniture with a high speed WIFI fibre optic connection along with an IPTV streaming package. The kitchen is new and fully equipped with most things you will need during your holiday. The bathroom is also new and the bedroom has two single beds. There is plenty of wardrobe space and a door that leads out onto the covered terrace that is shared with the lounge. The terrace also has a sofa bed which can sleep two more guests. 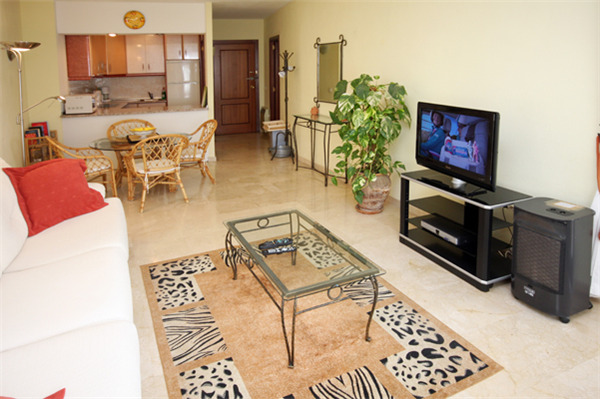 All together this is a nice clean apartment with good furnishing which we like to recommend. Bedrooms: Standard twin bedroom with doors leading out onto terrace. Sofa bed provided on terrace which can be made up to sleep two extra people (at an additional charge). Bathroom: Standard clean modern bathroom with bidet, wc, hand basin and bath with a shower.